Members of Knights of Columbus St. Matthew (Norwalk) Council 14360/Bishop Fenwick Assembly 100, along with members of the Parish Family of St. Matthew in Norwalk, traveled to Brooklyn, New York on Sunday, April 28, 2014 to visit Our Lady of Solace parish on Coney Island. 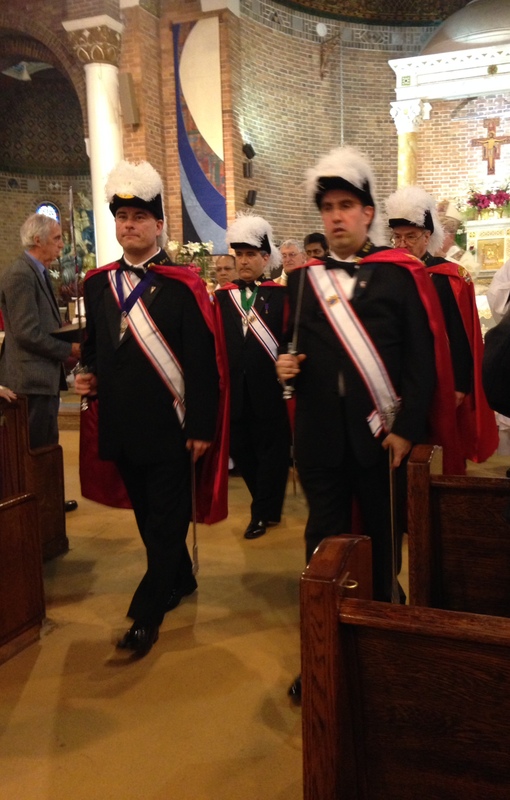 The occasion was a celebration of the 100th Anniversary of the Ordination of Father Justin Russolillo, founder of the Vocationist Order of Priests (Society of the Divine Mercy). It is the order that also oversees Our Lady of Solace, including OLS’ pastor, Fr. Armando Palmieri. 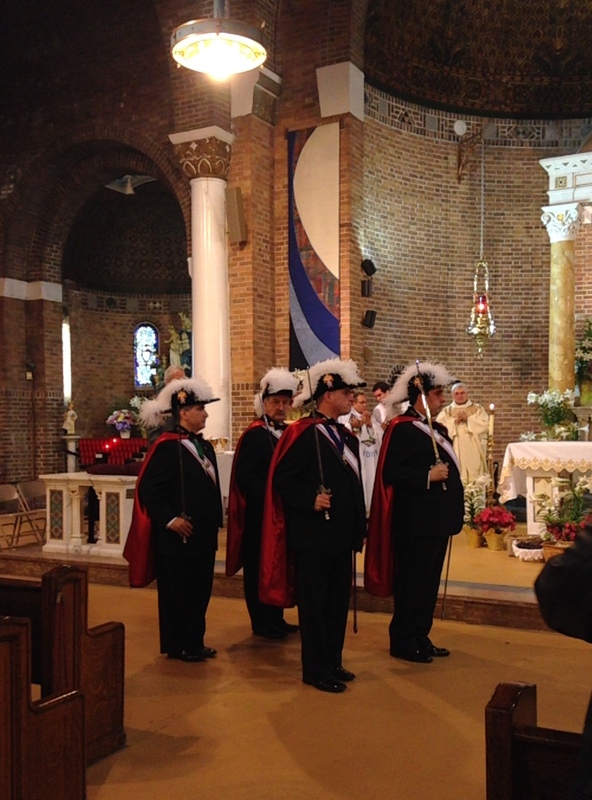 The brother Knights formed an Honor Guard for the Mass, with Principal Celebrant Bishop Nicholas DeMarzio of Brooklyn. A very special friendship began when St. Matthew Parish and K of C Council 14360 reached out to help Our Lady of Solace after Superstorm Sandy hit the tri-state area back in October 2012. That connection started a relationship that will endure far beyond the damage incurred from the storm.